Coffee with Shirley Corder and a ~*GIVEAWAY*~!! Paula Marie: I am chuffed to have Shirley Corder in our coffee chat today, welcome! I appreciate you taking the time to be with us, Shirley! Shirley: LOL! What do you want me to say, except I’m also chuffed that I’ve taught you a new word! (For anyone who doesn’t know what it means, I’m sure you can work it out.) Paula Marie, thank you for inviting me to be here. Paula Marie: You and I were ‘introduced’ by Marion Ueckermann, and I am so grateful for that introduction! I have been blessed to meet you, and to have had the opportunity to read some of your books (of which there are many)! Can you tell us a little bit about how you decided to write the non fiction creative stories of some of the lessor known women in the Bible? Shirley: My husband was a full-time pastor for most of our working years, and I often worked alongside him in presenting Bible Studies to groups. He would teach the background and meaning of the passages, and it was often up to me to bring the story and people to life, and make them applicable to modern life. I have a special love for the stories and characters of the Bible, but I noticed how many people saw the characters as super-heroes and not ordinary people who faced issues similar to us. When I started writing full-time, I found myself more and more drawn to the “lesser-known” men and women, whom many think they know, but they actually know very little about. Paula Marie: Sounds like you have been preparing for these books for quite a while! Shirley: Oh yeah, perhaps I should mention that although writing was a hobby since I was young, I only started to write for publication following a life-threatening tangle with aggressive breast cancer. My surgeon didn’t expect me to survive a year. (That was almost 21 years ago!) On a day when I felt particularly close to death, I received a word from the Lord, “I will not die but live, and will proclaim what the LORD has done” (Psalms 118:17). I knew then that He planned for me to survive, despite the medical opinion and the way I felt. However, I thought He meant I would talk about what He had done. A few days later, He clarified what He wanted: “Write this. Write what you see. Write it out in big block letters so that it can be read on the run” (Habakkuk 2:2). Two years later, He prodded me during my daily Quiet Time by giving me BOTH verses one after the other. I finally got the message . . . and I’ve been writing ever since. Paula Marie: How did you get involved with the Chicken Soup for the Soul books? I am curious, as I have enjoyed many of them, they are just right for those quick bits of uplifting “feel good” stories! Shirley: I enjoyed reading them myself, and one day decided to try and see if I could write for one of their topics. They usually have a good number of options available, many of which appealed to me. I wrote several, but despite following their very clear guidelines, I had a number of rejections. Then one day, something clicked, and I realized their real need. They don’t just want true stories that entertain. They want stories that touch the soul of the readers. I’ve had several stories published since then, and I have a further two under consideration at the moment. 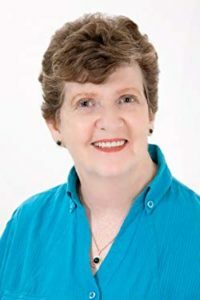 I belong to a writers’ critique group run by Tracy Crump who has not only had many stories published with them she has taught courses on their requirements. As a result, a number of us in the group submit fairly regularly to them. I don’t submit as often as I’d like because of the time-pressure involved in my books and also keeping my two websites running. Paula Marie: Goodness, you are definitely a busy person! Bless you for continuing to pursue the submissions, I do not take rejection well, lol. Shirley: Rejection challenges me. I get mad, and set out to prove them wrong. 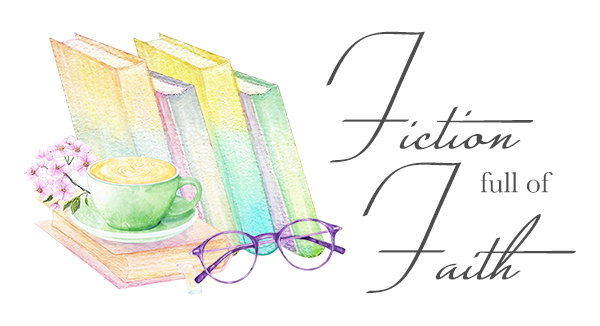 Paula Marie: What kinds of fictional books do you like to read (if any)? Shirley: Ooh, I love Christian Suspense novels, and I always have one on the go, either on my Kindle or on my bedside table. Some of my favorite authors are Lisa Harris, Irene Hannon, Terri Blackstock and many others. 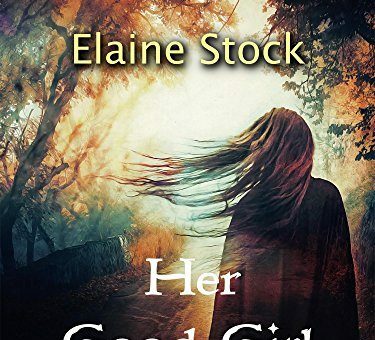 Paula Marie: I enjoy suspense novels as well, and will need to check out those authors – if you ever want more recommendations for suspense authors, let me know! Have you ever thought of writing a fictional story? Shirley: I have actually written a number of novels, all except one during NaNoWriMo, and I actually intended to go that way when I started out writing. But there always seems to be a non-fiction topic calling my name. So my novels remain on my computer! I grow to love my fictional characters too much and can’t stand hurting them! My stories have to all have a happy ending, and my main characters need to stay safe, which tends to make them somewhat predictable! That doesn’t always work too well for a novelist! I would still give it a try if I could only figure out how to add a few days to my week. I think that is why I gravitated towards creative nonfiction. That gives me the chance to use fictional techniques while writing nonfiction! Paula Marie: That is absolutely precious, Shirley! I think that it is so sweet that you love your characters, I find myself falling in love with book characters as well! If you ever decide to publish them, I hope you will make sure to let me know, I’d love to be one of the first to read them! Shirley: Sure. Sign up for my newsletter and you’ll get the news. Having said that, I think we’re stuck with one another anyway! LOL! Paula Marie: I love that you live in South Africa….it sounds so exotic to me! Can you tell me where is your favorite place to spend time in your home town? Shirley: LOL! I suppose exotic is somewhere foreign to your home country! I am actually Scottish-born, and grew up in Rhodesia (now Zimbabwe) but I do love all things African. My favorite place is really anywhere near the sea. When my husband and I married, we said to the Lord we wanted to one day retire to near the sea. If we got much closer, we’d get our feet wet! We live a six-minute walk from the beach, so I get to walk there almost every day. We have some of the most beautiful beaches in South Africa and as I’m not a swimmer, I love just settling down on the sand or on a seat overlooking the ocean and letting my mind roam. Paula Marie: That is absolutely stunning! I could definitely get behind living there! Paula Marie What is your favorite hobby to do when you are all alone and not writing? Shirley: My kids would tell you that they never know what I’ll tackle next. I’ve gone through a vast selection of hobbies, but since my husband retired and we had to scale down, I’ve had to settle on one hobby that takes space, and restrict the amount of materials I need to hoard. I am a musician, and I am co-leader of a senior choir that my husband and I both belong to. They are a group of over 30 lovely people, and they sing really well. We give concerts to senior groups, old age homes, frail cares etc, totaling between 25 – 30 a year. So that takes up quite a bit of time. I also make creative greeting cards (that’s where the hoarding comes in!) In addition to doing it alone, I can do it to a limited degree in front of TV while my ever-patient husband pauses the DVD and rewinds whenever I miss an important part of the story! I belong to a group of lovely Christian ladies who get together once a month to learn new techniques and enjoy one another’s company. Paula Marie: You have about worn me out just reading all the things you do! These are lovely photos, and what talent you have, the card is beautiful! Shirley: Aww, thank you! Can I make an admission? I tend to wear myself out too. Paula Marie: I love journals, notebooks, etc. I always have at least one or two going at the same time! So, I was wondering if you are a journaler…I suppose that is not a word, lol. What I mean is, do you keep writings in a personal journal and then turn some of those into published devotionals? Shirley: This is another embarrassing question, LOL! I keep LOTS of journals and notebooks. Although I have taught on journaling and I have written on the topic, I tend to be most disorganized. I have a journal especially for devotional messages received during my daily Quiet Time with the Lord. However, it is often missing when I need it, so I will grab another journal, or my daily diary, or even a scrap of paper, and furiously scribble the message down. If I don’t get it onto my computer within hours, they’ll often get lost and I may spend hours searching through all the journals and pieces of paper to find them! My husband claims to be scared to leave a piece of important paper lying around in case he finds an article scrawled across the back! He once found a devotion (which I’d lost) on the back of a bank statement. Paula Marie: Oh, please do not be embarrassed! I love hearing how authors go about their daily lives and get their ideas down! I can only imagine that your writing requires serious concentration and maybe mediation and alone time – with such a busy life, children and grands, what is your favorite time and place to write? Shirley: Re my children and grandkids, I don’t see much of them, so sadly they don’t take up much time. My daughter and her husband live in Montenegro so we only see them once or sometimes twice a year. (And since I KNOW your readers are going to ask, it’s across the sea from the heel of Italy’s boot! I have a grandson in the States doing post-grad work with whom I only have occasional contact on Skype, and then the rest of our family live in four different parts of South Africa. I’m really looking forward to a rare family get-together in Johannesburg (3 hour plane trip away) in November for a nephew’s wedding. My really favorite place to write during summer is before it gets too hot (i.e. early morning) when I sometimes take my laptop out onto the stoep (porch) and enjoy the birds and the ocean breeze with the laptop perched on my knees and my feet on a chair! I do most of my writing in my study which I share with my husband who still preaches a couple of times a month. We each have our own corner with our computer desks and we’re pretty good with applying to our own work. However, I write most of the day, in between taking walks and participating in concerts, and I do have a couple of favorite spots. Of course, winter is another story. I start early but don’t always make it to my desk until it warms up a bit! Paula Marie: Thank you so much for sharing these amazing photos, you are so adorable! How can fans keep up with your books and new releases? Paula Marie: Finally, thank you so much for joining me today, are you a coffee drinker, tea, or something altogether different? Paula Marie: I am looking forward to hearing about that someday! Shirley: Thanks so much for the fun interview! Every blessing on your blog and all you do to encourage writers. Shirley has generously offered a free ebook of Miriam: Part 1 – Devoted Sister to a lucky participant of this blog! Simply comment below on your favorite place to read to win! Contest will be open for one week from posting, winner will be notified via email, good luck! Most of us know about Miriam, the little girl who watched over her three-month-old brother as he sails in a basket boat on the crocodile-infested River Nile. We’ve probably also heard the story of the Hebrew boy who grew up in an Egyptian palace. But during that time, what was happening to his sister, Miriam? This book is the 3rd in the “Out of the Shadow” devotional series for women. Miriam lived her entire life under the shadow of her little brother, Moses. Join Miriam as she steps out of that shadow and develops her own God-ordained leadership role. Written in creative non-fiction, the story stays close to the biblical narrative, but Shirley Corder brings Miriam to life in a way that will help you meditate on this fascinating woman as well as gain insight into the ways of life during those difficult years. The “Read and Reflect” section that follows each short chapter will help you relate to the story and apply lessons to your own life. Previous Coffee with Kimberly Rose Johnson with a BLOG sponsored giveaway! Next Coffee with Autumn Macarthur and a GIVEAWAY!! Many thanks for posting this fun interview, Paula Marie! I enjoyed working on it with you. I had fun with you too, Shirley! ❤️ Thank you for taking the time to spend with me!! Love this interview. Thank you, Paula Marie, for hosting Shirley. We can get rooibos tea in the US, but you have to hunt for it. It’s not on most grocery store shelves. It is so worth the hunt. Take my name out of the hopper for the giveaway, please. I already have Miriam (and love her). Thank you, Judith! I had the best time getting to know Shirley better!! Thanks for visiting and leaving a comment, Judith. Blessings! This is such a delightful interview! I love to read anywhere! If I have to choose a favorite spot, maybe it’s when I am snuggled in bed and can read until I fall asleep. Thanks for the visit, Becky. Yes, snuggling in bed with a book is the best! But even with a laptop when it’s cold outside works! Hi, Becky! Funny, I don’t read in bed well……lol! Thank you so much for sharing! When Rob gets to bed, he picks up a book and starts to read. Within minutes I see the book wafting up and down and then he gives up and goes to sleep. Sometimes I envy him. The longer I read, the more engrossed I become until there’s no hope of going to sleep! That was good window to Shirley’s life as an author as well as a multifaceted person. More power to you Shirley. And wishing you a great time ahead, specially in November when you will be having a grand family union! Thank you for stopping by and sharing, Anagha! Shirley was so much fun to chat with! Thank you, Anagha. Last (and only) time we had a big family union was for the wedding of this present groom’s big brother! So yes, we are excited and looking forward to it tremendously. Oh you’re so right, Marion. It’ll be awesome to spend a day together again!!! And can we please remember to take photos this time?!?! Now I am jelly………lol! Make sure I get to see some of those photos! What an awesome interview! I thoroughly enjoyed reading it, even if I knew all that stuff about Shirley 🙂 And talk about tiring … Shirl reminds me of the Duracell Bunny 🙂 (and if you’re in a part of the world where that ad wasn’t screened, it’s a battery advert where the toy bunny just keeps on going on. I loved spending the time with Shirley! Thank YOU for introducing us!! Love your interview and getting to know Shirley better. What a whirlwind you are. A good one though. I love reading in bed but sometimes it is hard to put the book down and I lose track of time. Then I wonder why I am so tired the next day after only a few hours of sleep! That’s too cute, Margaret! I love my recliner for reading! Oh yes, Margaret. I totally identify with you. Last night, I was coming to the end of Randy Singer’s Rule of Law. There was no way I could put the book down until I finished it. Result is, this morning I feel like a zombie! Loved getting to know Shirley. I have too many hobbies, too–so I guess a scale-down is in the offing. Thanks for the visit, Damyanti. I wish you all the best with the down scaling. I’m still trying! Great interview with one of my favorite writers! Super to see you here, Tracy. Thanks for popping by. I really enjoy Paula Marie’s blog. She has some unusual ideas. Yes, we can get rooibos tea in the United States – it is popular in a lot of herbal tea blends. Do you think you might be called to more Chicken Soup of the Soul stories, as these might have a wider readership? Thank you for this chance – my father was named after Moses (Moishe) and his older brother was named Aaron. Hello, Alana! Thank you for being so diligent and checking back on the site! I must check into this tea!! Appreciate you sharing and stopping by! You’re right. Shirley is a great storyteller and does a wonderful job with her Chicken Soup stories. We’re so proud of her. The best thing about Chicken Soup is that they’re open to stories from anyone. You don’t have to be a published writer or have any certain credentials, just a great story. Maybe you have a story to tell? Thank you so much for sharing, Tracy! Good thinking, Tracy. (And thanks for the headsup!) Alana, how about it? If you enjoy the stories in the books you will almost certainly have one to share. Many thanks for persevering, Alana. It was evidently a server issue. Interesting that you can get rooibos tea freely now. I know I asked some years ago and basically no one knew what I was talking about. Re Chicken Soup, I actually have submitted to stories to their latest one for Grandparents, so we’ll see what transpires! They are a totally different approach though, as they’re short stories as you’ll know. The Out of the Shadow series are books. At the moment, Naomi is the only one in print, but Miriam is hard on her heels. That is correct, everyone that commented on this post is going to receive a free ebook from Shirley! How awesome is that!! I have given her all your emails and you will be hearing from her in the next few days with your free book!! THANK YOU, Shirley, you are a true blessing!! Thanks for letting folks know, Paula Marie. I trust the book will be a blessing to all. Review of The Wedding List by Autumn Macarthur PLUS a FREE ebook for EVERYONE!